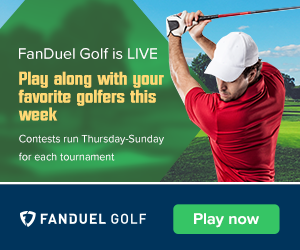 Our first Saturday NFL action of the season is upon us with two games and between that and the Thursday game, Sunday night, and Monday night games featuring great teams and fantasy options, the main slate is extremely depleted. I would recommend getting into the Thursday-Monday slate of games, which will include all of them. I will talk about my strategy for the week and core of players I will be utilizing, but first let’s talk about last week. What went right? I talked about how I was going to make a strong stand with Christian McCaffrey and Saquon Barkley last week and they went for 28 and 32.7 DK points. Between their multi dimensional skills and usage and the great match-ups they had, 90% of my lineups had at least one of them and about 30% had both. Since I chose to anchor my teams with those two guys, I pretty much had to drop down at tight end and avoid both Kelce and Ertz and pivot to George Kittle at $5,500 who was my third highest owned player. Kittle rewarded us with 7 catches for 210 yards and a td and 37 DK points. Those three guys together gave many of my teams nearly 100 points to start with. Others that were solid included Jameis Winston, Aaron Rodgers, and Jaylen Samuels, but that was about it. What went wrong? For as good as my highest owned players were, my complimentary players were that bad. You don’t expect every one of your $5,000 and lower players to all light it up, but it would be nice if a handful of them at least provided value for their price. Both Bucs receivers, Humphries and Godwin were garbage and Courtland Sutton was the only Broncos wideout not to do well. Zay Jones did nothing and neither did Michael Gallup who managed only 6.4 DK points on NINE targets. Ugh. Defense was a tough position to get much from last week and none of my defenses stood out. I got some teams above the payline, strictly because of the three main guys I owned everywhere, but lacked any support from the lower dollar guys that I needed to give any teams a chance at any significant money. One of the more disappointing weeks in what has been a solid year overall. I will look to get back to our winning ways this week and make sure you get in some lineups that include all the games this week.